Visitors can see an array of objects and photographs which bring the tale to life, many of which have been generously loaned for the exhibition from local collectors and from Diageo itself. 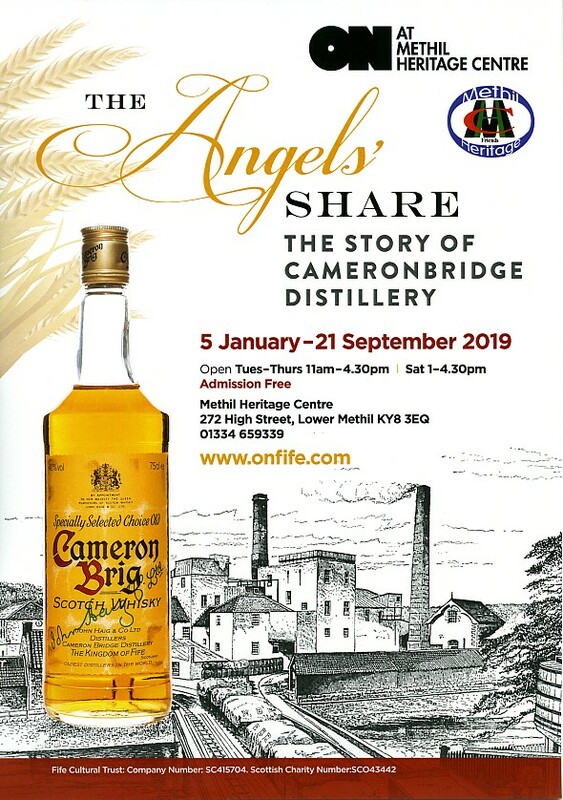 The Friends are also keen to hear from anyone with a story to tell about Cameronbridge – why not pop along and add it to the Memory Wall? and Saturdays 1 pm - 4.30pm. In December 2007 Friends of Methil Heritage received support from the Scottish Government-funded Digital Resources Development Team for their SCANIT project. With a grant to buy equipment, and after specialised training, 7 dedicated Friends scanned almost 2000 photographs from the Heritage Centre's collection. Now, anyone looking for a particular image can browse "thumbnail" versions in print and visitors can enjoy a continuous slide show of images of the area. The original photos are kept safe for the future while high quality electronic images will soon be accessible to all. for further information about the Centre and facilities.